Importance of early childhood education, attention to China's future. Nanning ** Bilingual Children's Art Park Fall enrollment beginning it! ** Bilingual Children's Art Garden is a beautiful environment, convenient transportation, equipment, complete full-time children's park. 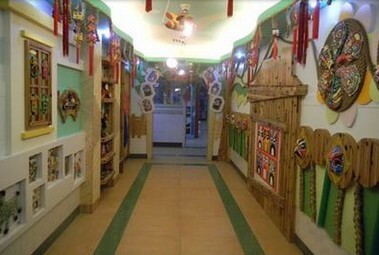 Construction area of ​​over 1,000 square meters, is the creation of nine classes, Miao Miao classes, small, shift, Taipan. Park has a young, professional, teacher of life force, all the teachers and caregivers are exposed to professional and technical training, certificates, there is intense dedication and responsibility. I park will feature founding Nanning first bilingual teaching children park, a leading mode of teaching, class equipment, a professional English teacher and two children of professional teachers, our teacher from Canada, engaged in early childhood education for many years, has rich teaching experience let your child be able to enjoy the children's garden international teaching. Another feature dance, eloquence, art and other features courses to build your child's learning a warm air. Bilingual Children's Art Garden ** is your best selection, now renovated, beginning June 30 will be a notice in the name of my garden on the first floor hall, before the notice sent 100 children three-piece children's quilts, worth 158 yuan while stocks last. A warm welcome to bring children to the park to watch the parents sign up!